Whitworth president emeritus William P. Robinson was elected chairman of the board of trustees at Princeton Theological Seminary on May 22. Robinson began serving in his new role immediately. “Bill Robinson’s election as Princeton’s board chair affirms his place as one of the brightest minds and most capable proponents of Christian higher education in the country,” says Whitworth President Beck A. Taylor. “I know personally what it is like to have Bill’s wisdom and experience as a resource, and that makes me confident that his leadership will serve Princeton’s board and President Craig Barnes extremely well.” The Rev. Dr. M. Craig Barnes was elected president of Princeton Theological Seminary on Jan. 1, 2013. Robinson, who has served on Princeton’s board since 2000, says he looks forward to continuing to support Whitworth alumni who attend the seminary. Whitworth is one of the leading undergraduate institutions in the number of students it sends to Princeton. “Over the years, that's been a very fascinating part of my trustee role, the opportunity to spend time with Whitworth alumni at Princeton,” Robinson says. 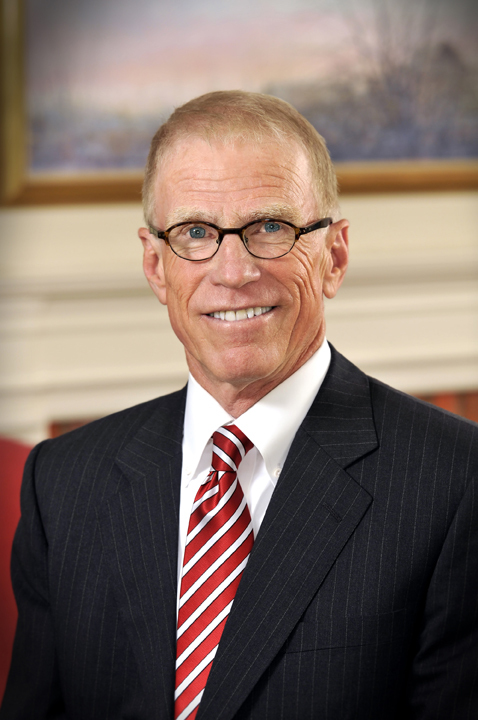 Robinson served as Whitworth's 17th president from 1993 to 2010, after serving previously as president of Manchester College (now Manchester University), in Indiana, from 1986 to 1993. His tenure as Whitworth's president was the second longest and one of the most influential in the university's history. In his role as president emeritus, Robinson works closely with Whitworth President Beck Taylor and the university's institutional advancement staff on external relations. He also writes and speaks widely on leadership, organizational culture and communication in corporate, non-profit and ministry settings. Princeton Seminary was established in 1812 by the General Assembly of the Presbyterian Church as a post-graduate professional school of theology. It is the largest Presbyterian seminary in the country, with more than 500 students in six graduate degree programs. Barbara Chaapel, director of communications and publications, Princeton Theological Seminary, (609) 497-7760 or barbara.chaapel@ptsem.edu.